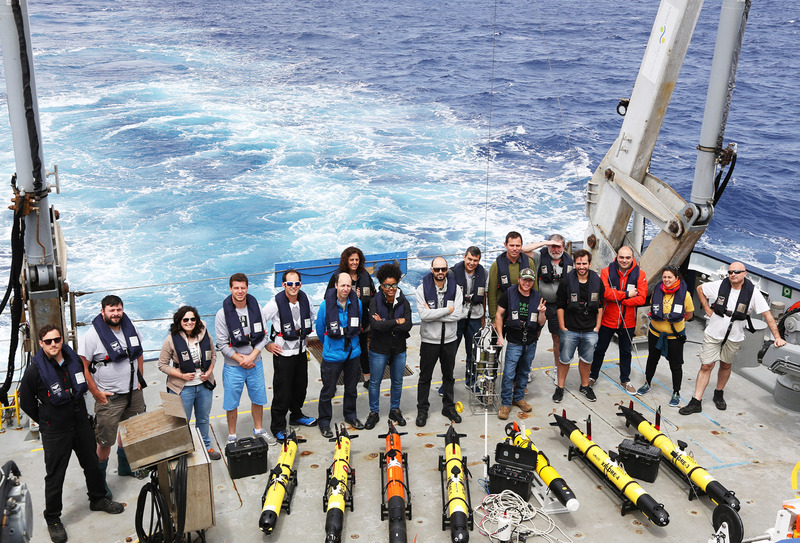 In our transit back to San Diego there is a quiet sense of accomplishment, not only from the wonderful achievements of this cruise, but also because in doing so we contributed foundational work for future ocean studies. Sensors, actuators, and communication devices are currently pervasive in the cities we live in, and we are definitely evolving towards the “Internet of Things.” This has the potential to improve our quality of life by providing unprecedented capabilities to measure, for example, the quality of the air, among other parameters. The problem is that “instrumenting” cities and human developments is simply not enough to “evaluate” the health of Earth’s life support system. The oceans are an important component of this life support system, and we are still lacking the tools and technologies to study the status of the system’s overall health and functioning. This is even more critical because the oceans are deceptively large and “powerful” from space, but are in fact a “fragile” thin layer of water, with an average depth of 4km in a planet with over 6,000km radius. In fact, all water on Earth would fit in a sphere with a diameter of 860 miles. This is why we need to develop sustained ocean studies with unprecedented spatial and temporal resolution. Ships alone cannot help to achieve these levels of resolution, scale, and economic feasibility. 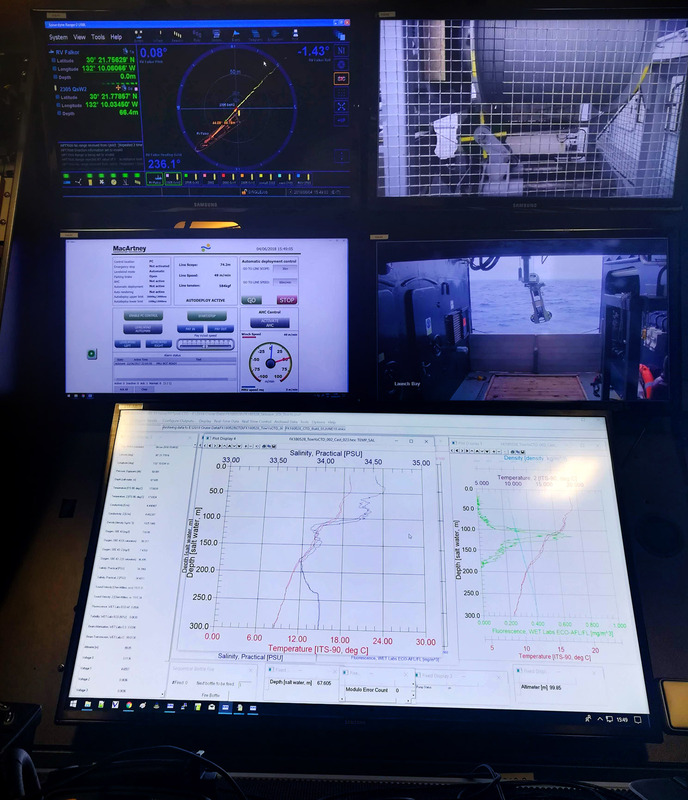 This cruise was about demonstrating a novel approach to observe the ocean with multiple underwater, surface, and air vehicles using the R/V Falkor as base and control center. First, we developed and deployed low cost Autonomous Underwater Vehicles (AUV) with 50h+ endurance. Second, we used our Dune-IMC software on all of these vehicles for autonomous control and uniform communications protocols; we did the same with multiple air vehicles, as well as with the autonomous surface vessels used in the expedition. Third, we deployed our Manta communication gateways for communications with all of these vehicles and R/V Falkor using WiFi, acoustic modems, and satellite communications. Finally, we deployed our Neptus/Ripples software from the Science Control Room for advanced situational awareness and high level control, as well as for remote visualization and control over the Internet. Our software toolchain enabled us to control this ensemble of unmanned and manned vehicles in several unprecedented ways, namely operating non-stop for most of the cruise with just one operator in the Control Room. We started by searching for the Subtropical front, an oceanic feature where two masses of water with different salinities meet. We located the front by using in-situ data collected by autonomous surface vessels – clouds precluded the use of useful satellite imagery, even more so because this salinity-based front is very hard to detect from space. This in-situ data allowed us to circumscribe the operational area to a rectangle of approximately 50 Nm by 50 Nm. We mapped this area for approximately four days, with three AUVs performing coordinated surveys with unprecedented spatial and temporal resolution. This map allowed us to select hotspots for high-resolution surveys with other AUVs equipped with physical and biological sensors, as well as with the rosette from the Falkor taking additional measurements and water samples. Vertical Take-Off and Landing Unmanned Air Vehicles (UAV) were tasked to fly over transects made over these hotspots to collect Infrared Radiation, multi-spectral and visible light imagery, as well as to measure concentrations of Dimethyl sulfide (DMS) in the air (DMS is a proxy for some types of biological activities that may take place at fronts). 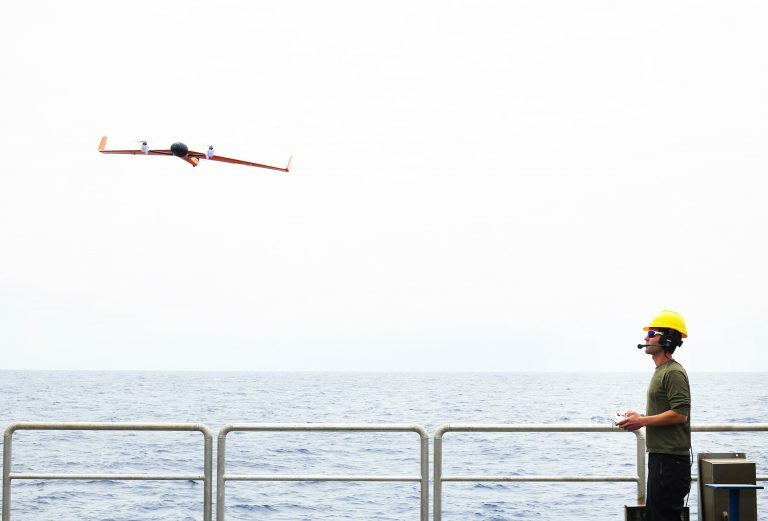 UAVs were also used as data “mules” to ferry data from distant AUVs to the Falkor, as well as communication gateways for “bent” line-of-sight communications with the AUVs. “The North Pacific Subtropical Front was located precisely as predicted from oceanographic data analysis during the planning phase of this cruise. For the first time ever, a mesoscale filament of a major open-ocean front was mapped with sub-mesoscale resolution using multiple AUVs. A new front-following algorithm (based on a new concept) was designed and successfully tested. The easternmost segment of the North Pacific Subtropical Front was studied in unprecedented detail.” – Igor Belkin. During most of these deployments, the Falkor was also collecting data along transects located far away from the AUVs. Computational models running on the ship’s supercomputer helped us interpret the data collected by all of our technologies and adapt our sampling strategies. The small human operator footprint of this mission allowed scientists and engineers to go about detailed analysis and decision making with the help of the visualization tools displaying incoming data in close to real-time. 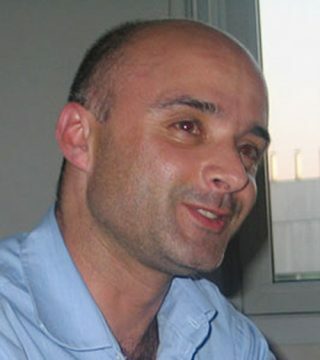 This also enabled the development and testing of advanced front tracking algorithms. A resident ethnographer performed a scientific study of the changing work-practice induced by these new tools and technologies. 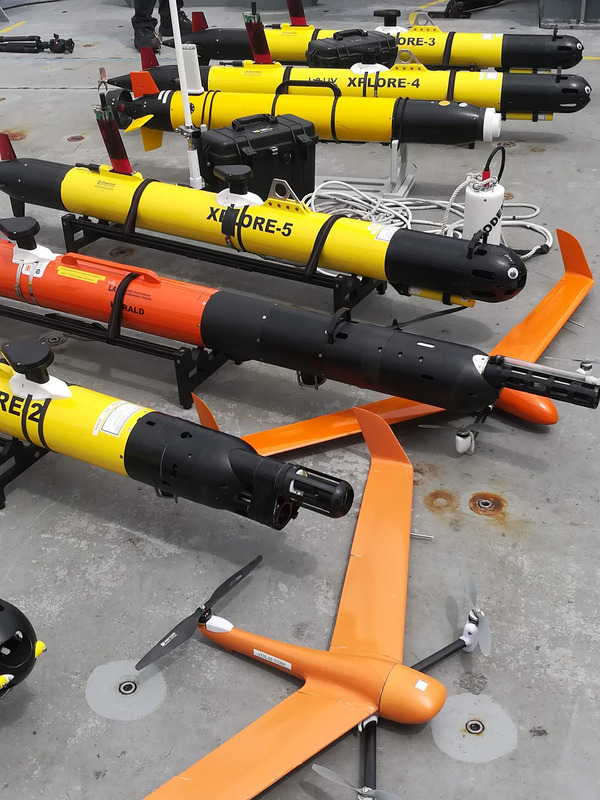 All in all, our AUVs travelled over 1000 nautical miles underwater for approximately 500 hours; our UAVs performed over 25 flawless flights with a total duration of approximately 10 hours; and our operators and all assets were ready for more.